The Dark RockC1 range of coolers is designed for the enthusiastic PC user who expects a great deal from their computer: performance, reliability and a very quiet operation. The be quiet! Dark Rock AdvancedC1 combines maximum cooling efficiency with a pleasantly quiet operation. With an extremely low noise level, efficient cooling is provided for gaming, multimedia and CAD systems even at maximum processing power. 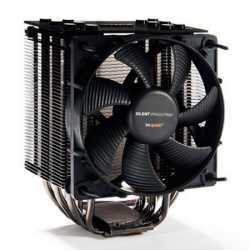 This CPU cooler is enhanced by the high-quality materials used, as well as its attractive design. • The six three-dimensional moulded heat pipes work rapidly to transport the heat with the help of an oxygen-free copper layer (OFC) to the optimum point within the cooling lamellas. • The single-tower layout with six heat pipes enables excellent heat dissipation within a small space. 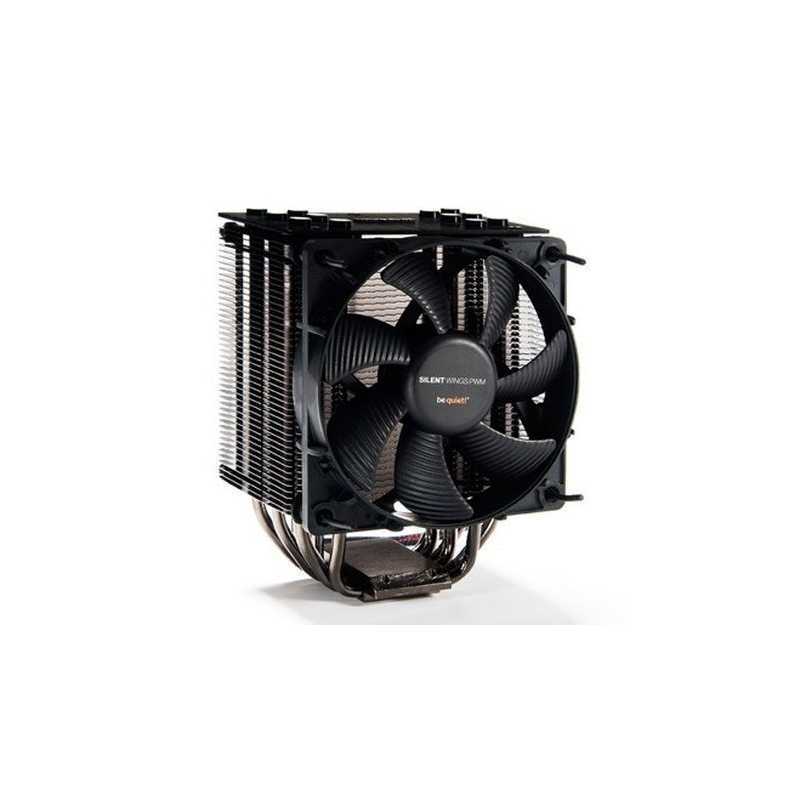 • The 120-mm fan guarantees the best ratio of cooling efficiency to noise level. • The wave-shaped contour of the cooling lamellas prevents noises and optimises the airflow. • The fan surfaces are coated in dark nickel. • The brushed, fully aluminium cover protects the cooling lamellas. • The stable backplate ensures a shockproof attachment, even when transporting the computer.